Spent a few days at Angkor this week. Angkor is a photographer’s dream and nightmare at the same time. Thousands of visitors clamber around the ruins everyday, their only concern to have themselves photographed in front, under and on top of every monument. 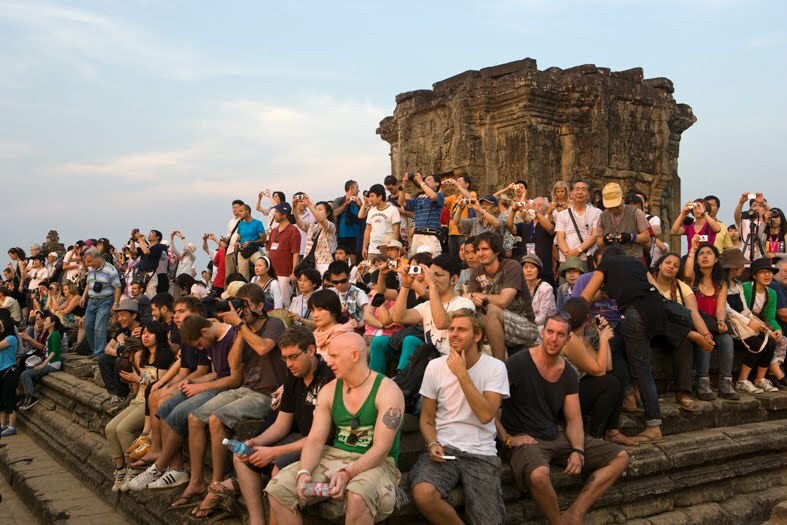 And when all the tour guides and guidebooks steer the crowd to the obligatory sunset spot the value of the assembled cameras approaches Cambodia’s GDP. The tide of mass tourism is unstoppable, the digital onslaught at times makes me want to lay down my Canon and pick up a bazooka instead, or perhaps I could become a guidebook writer and start extolling the otherworldly beauty of a South Sudan Sunset.